About creating a product that enables you to live your best life. Our frozen coconut cream is full of immune-boosting, digestion-friendly, and heart-healthy ingredients that make each bite nourishing, without the post-dessert hangover. We are always allergen free, chemical free, plant based - and proud of it. We've created classic flavors, each with an innovative twist. Koku is satisfying, delicious and allows you to have it all—meaning no compromises. We hope you’ll love Koku as much as we do! Simplicity and quality of ingredients. From a young age, Carli has lived with a long list of food sensitivities and allergies. Unable to eat nuts, dairy, soy, gluten, or eggs- much of her time and energy was spent looking for delicious things that wouldn’t rebel against her body. Growing up in San Diego, Carli’s mother taught her how to channel her food restrictions into something positive and creative; together, they experimented with unique recipes using the things she could eat, creating delicious, colorful combinations from quality whole ingredients. It wasn’t until moving to NYC in 2013 and struggling with the lack of high quality, allergen friendly options (that actually tasted good), Carli realized there was a real opportunity to create something for herself. That something became Koku, which was simply too delicious to not share with the world. 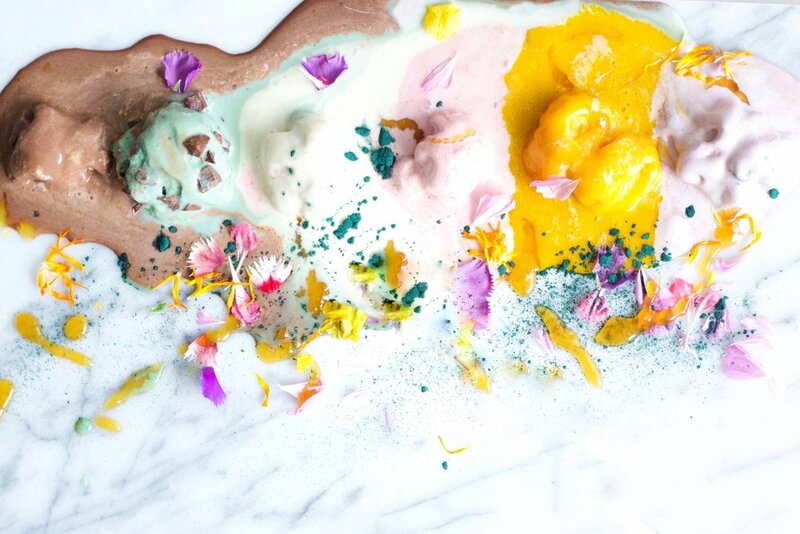 Inspired by mature coconuts and their creamy, neutral taste, they became her canvas to develop a new category of ice cream.